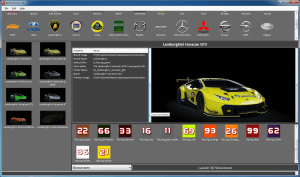 ACShowroomView is a new viewer for all cars in Assetto Corsa. 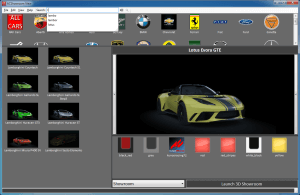 You can select a brand, show all cars and skins and launch the original 3d Showroom with the selected car. No need the installation, only Unzip and run the exe file. Now you can choose the showroom ambient. On start, the program load the previous selected car, skin and showroom.